What kind of world am I living in? 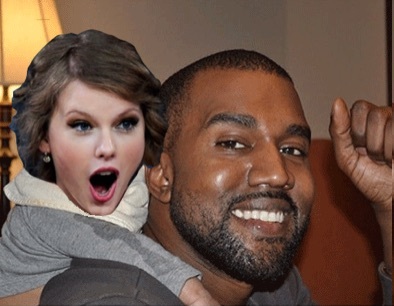 Apparently one where Kanye West and Taylor Swift bury the hatchet by recording sweet sweet music together. Kanye hasn’t recorded sweet sweet music since 2010, and while I doubt a country/pop crossover with Taylor is the answer, it’s still astounding that he says he’s for sure going to make sure going to make music with the girl who’s moment he ruined on behalf of Beyonce all those years ago. Before you think “Gee, fatherhood sure has softened the man who once said “Nothing in life is promised except death,” remember that he lives and breathes for attention.